Create a look that is fresh and fun! 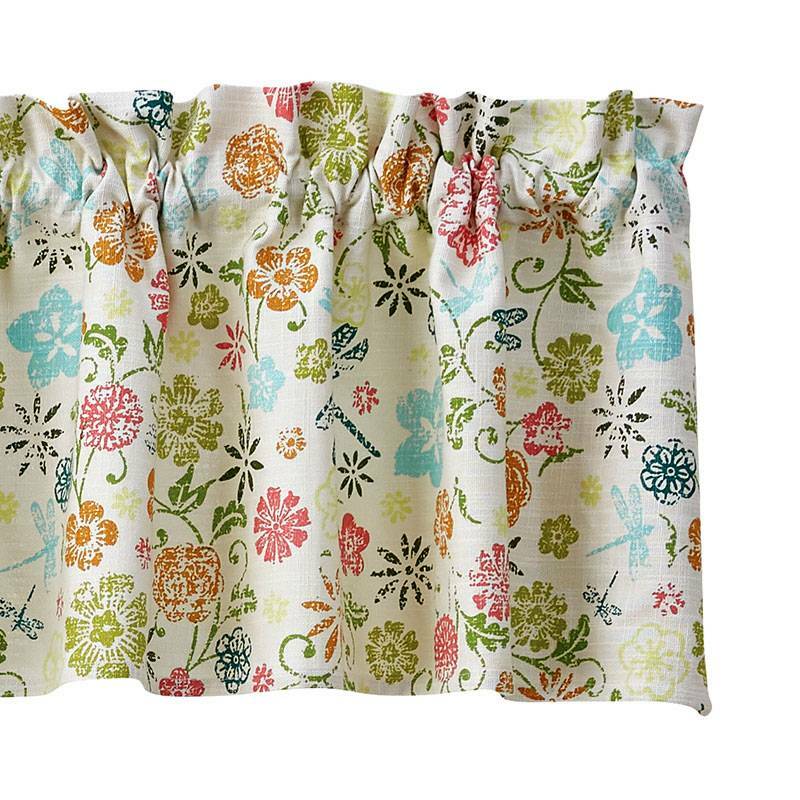 Softly printed on a textured cotton fabric, the Dragonfly Floral Valance is adorned with delicate flowers in muted tones of blue, red, green, and russet. 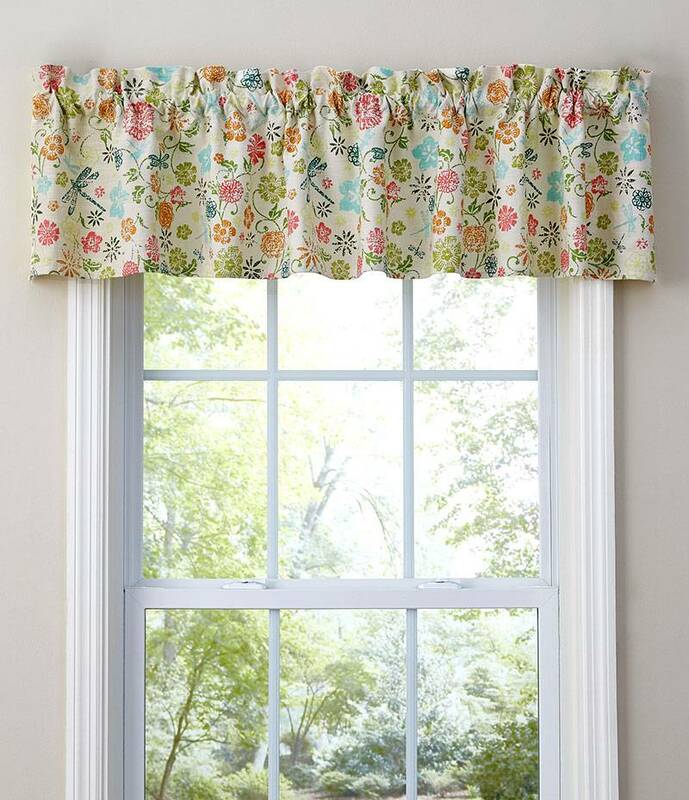 Dragonflies flittering about add a bit of whimsy to this beautiful valance. Muted Tones of Blue, Red, Green, and Russet.